Iran's liquid fuel suborbital rocket "Kavoshgar-8"
TEHRAN, 2011, July 09 -- Dr. Hamid Fazeli, head of Iran's Space Organization, in an interview with IRNA said the planned Kavoshgar rocket "is similar to the Safir rocket in terms of structure", which will launch a biocapsule with live monkey into a suborbital altitude of 120 kilometers. 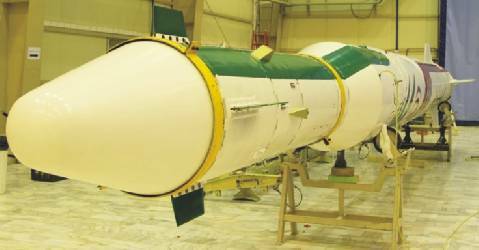 The Kavoshgar rocket will be launched during the month of Mordad (July 23 to August 23) with a 285-kilogramme capsule. 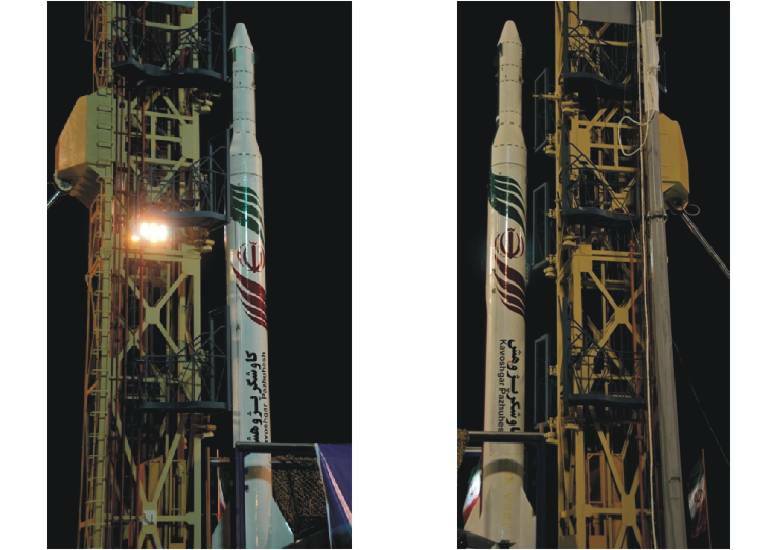 TEHRAN, 2011, Aug. 22 -- The Iranian Space Agency (ISA) said Iran plans to launch a domestically-built satellite carrier Kavoshgar into space by the end of summer. Kavoshgar's cargo, with a weight of 300 kg, contains a biological capsule in which a rhesus monkey will be placed. The rocket will be orbiting at an altitude of 120 to 130 kilometers above the Earth’s surface. TEHRAN, 2011, Oct. 03 -- Iran's plans to send a live monkey into space have been postponed indefinitely, the country's top space official said, quoted by the state television website. "One cannot give a set date for this project and as soon as our nation's scientists announce the readiness (of the project) it will be announced," said Hamid Fazeli, head of Iran's Space Organisation. He gave no reason for the postponement. TEHRAN, 2012, January 04 -- Head of the Iranian Space Agency (ISA) says the country will launch a bio-capsule carrying a living creature into space within the next two months. Hamid Fazeli told reporters that the national project will be carried out by sending a monkey into space using a new bio-capsule. According to Fazeli, ISA scientists are designing and manufacturing a new bio-capsule an example of which was launched into space last winter. Since it returned to Earth, we have been trying to upgrade it by “solving its problems and boosting its technical features,” he noted. 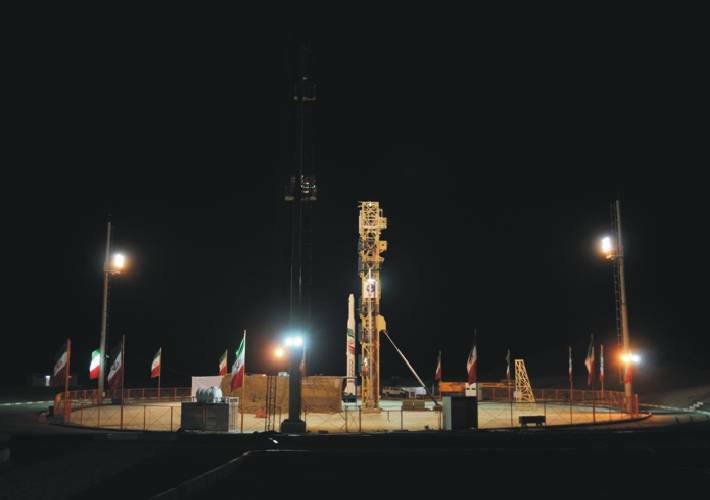 A issue of the Jane's Defense Weekly (2012, November 21) reports that Iran has tried a third orbital launch attempt of the year with a Safir rocket sometime between September 22 and October 25, but apparently the result was even worse than the last one: it exploded (?) on the launch pad. Here we can see the preparations for the launch. 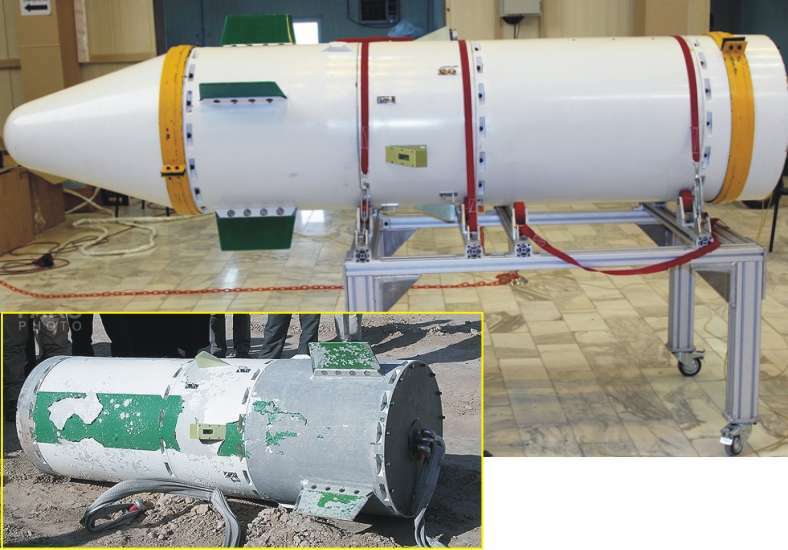 But it is not a Safir launcher to see, probably is it a shorter Shahab-3 on TEL, for test a human capsule. It was announced already one year ago. 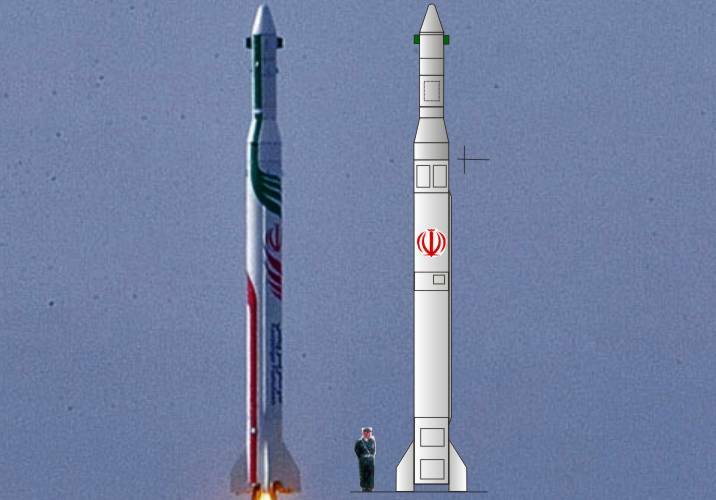 TEHRAN, 2013, April 10 -- Head of Iran's Space Agency (ISA) Hamid Fazeli announced that his agency plans to send more living creatures into the space on the back of an Kavoshgar rocket which consumes liquid fuel. "The Kavoshgar rocket carrying living creatures will be launched this year using liquid fuel," Fazeli said. He referred to the previous dispatch of living creatures by Iran into the space, and said in the previous mission the carrier used solid fuel, but this time the Kavoshgar will use liquid fuel "and we hope that by using liquid fuel we can increase the speed of the launch to four to six Gs which is the best speed for launching living creatures". TEHRAN, 2013, Sept. 07 -- Deputy Head of Iran's Space Agency (ISA) Hamid Fazeli announced that his agency plans to send a living creature into the space on board a liquid-fuel carrier within the next 45 days. TEHRAN, 2013, Dec. 08 -- The suborbital flight of a return capsule with a monkey aboard is now announced for the period of the next 10 days. The liquid-fuel launcher to carry the capsule to an altitude of 120 km. 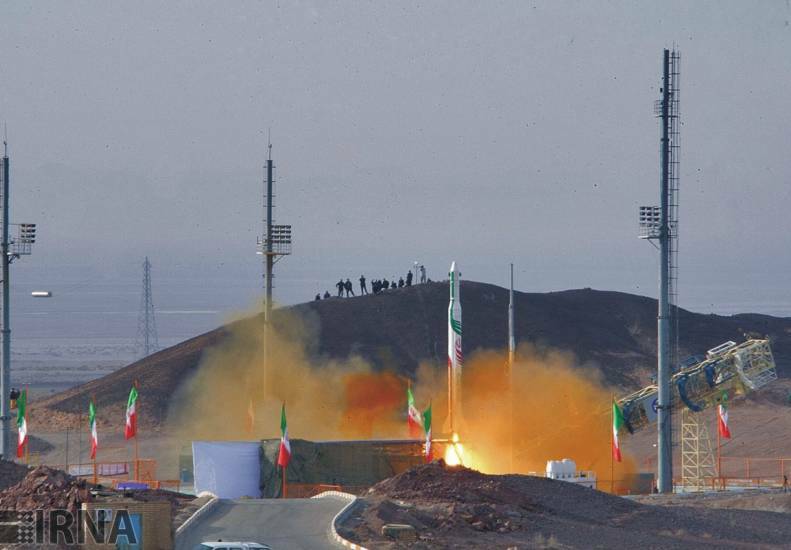 TEHRAN, 2013, Dec. 10 -- Iran will launch Kavoshgar (Pazhuhesh) rocket, carrying a living creature into space next week, General Mehdi Farahi, deputy defense minister and head of Iran's Aerospace Organization, announced. TEHRAN, 2013, Dec. 14 -- Iran says it has successfully sent a monkey into space for a second time. 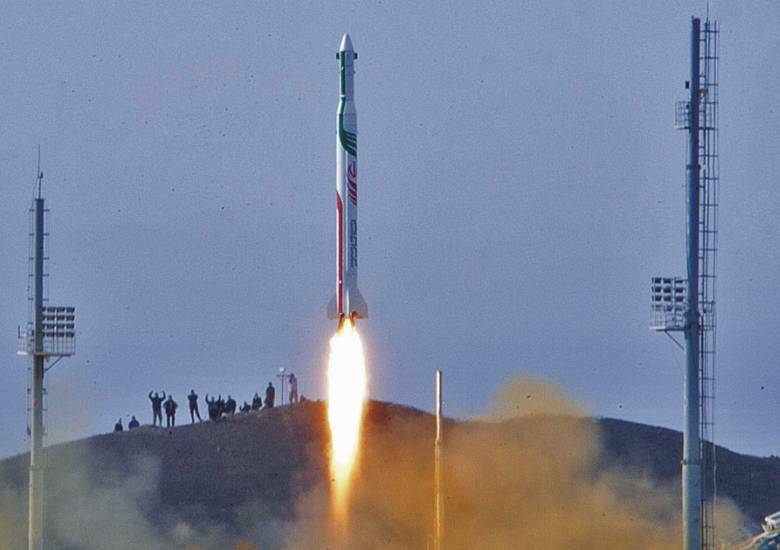 The liquid fueled rocket is called Kavoshgar-Pazhuhesh. The monkey is called "Fargam". After a sub-orbital trajectory to an altitude of 120 kilometers, approximately 15 minutes in duration return the monkey. Meanwhile further details were published of the launch and return of the monkey. 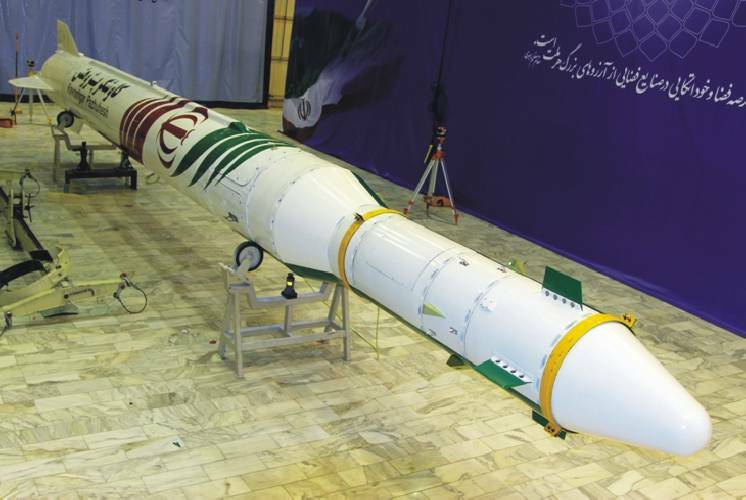 The surprise is that NOT a Shahab-3, but a Scud-Shahab was used as carrier rocket.